Okay, “welcome” might be a bit presumptuous since we haven’t actually created the Sentinel Hub yet but we’ve got a plan and we’re going to make this happen. So what is the Sentinel Hub, you ask? In short, it will be Canada’s (and possibly the world’s) first workspace dedicated to developing and employing technologies for predicting and preventing mass atrocities. This will be a monitoring centre, a workshop, and a home for the Sentinel Project all in one place, right here in Toronto. 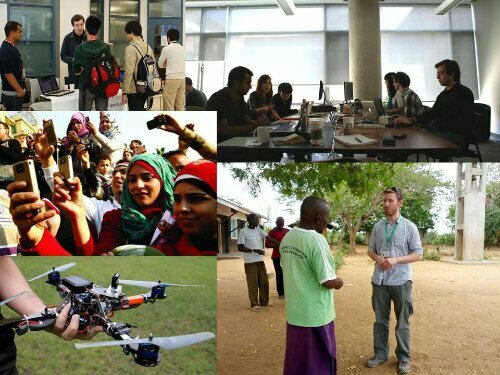 The Sentinel Project has been growing and doing some remarkable things lately, whether it’s field work in the Tana Delta of Kenya or launching the world’s largest online database of hate speech, not to mention exploring the humanitarian use of unmanned aerial vehicles or providing training on using technology to defend human rights. Next on our list is to bring all of that together and create not just a team but a community dedicated to human rights, technology, and atrocity prevention. Until now, our dedicated volunteers and interns have mostly worked from home and have already accomplished great things; just imagine what they’ll be able to do once they’re all working in the same room together with the tools they need. To make this happen, we need a space, which is one of our main goals for this year. Spring is the perfect time to take such a big step since we’re on the verge of a new stage in the Sentinel Project’s life. And that’s where you come in. First, need the Sentinel Project’s loyal supporters to commit to supporting the Hub with a monthly gift, which you can sign up for on the Hub page. Second, and mostly excitingly, the Hub will be open to other organizations and activists interested in human rights and technology. Establishing the Hub as a shared space will be a major step towards establishing that community we’re aiming for. Thanks for your help and see you at the Hub!